Kit Harington, Sophie Turner and Emilia Clarke give their 'Game of Thrones' Season 7 fans some spoilers. Kit Harington, Sophie Turner, and Emilia Clarke will be coming back to small screens once again with an all-new "Game of Thrones" Season 7. The GoT actors have finally revealed some interesting spoilers about the hit HBO series. According to a recent report from Winter Is Coming, the main cast of "Game of Thrones" Season 7, Kit Harington (Jon Snow,) Emilia Clarke (Daenerys Targaryen) and Sophie Turner (Sansa Stark) have given the GoT fans something to look forward to in the upcoming season. 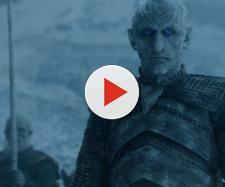 The actors revealed a few details about their character's battle in the new series. Emilia Clarke revealed that Daenerys would be aiming to invade Westeros in "Game of Thrones" Season 7. Clarke's character will do whatever she can to take the Iron Throne. She revealed that Daenerys would need a lot of help from several people to get the Iron Throne. The "Me Before You" actress even stated that she would be disappointed if Daenerys would not be successful in her plans. Clarke even continued that she is frightened of what could happen to her character, as the battle becomes difficult for her to handle. As for Clarke, Daenerys want to have the purest rulership, which is frightening since there are mad rulers in GoT. Meanwhile, Sophie Turner teased that Sansa will be turning her dark side on to be able to protect her loved ones. According to the actress, her character will be less sympathetic towards people she interacts with. Sansa will do anything and everything to get what she wants in Season 7. Turner also unveiled that there is no romance in the future episodes for Sansa. Perhaps, her hardships in life had made it less interesting for her to be involved in a relationship. In the meantime, the "Pompeii" actor who is currently living in with her girlfriend, Rose Leslie stated that he wants the fans to remember GoT as a great storyteller. He even unveiled what he would miss about his character since the show is approaching the ending. Harington also revealed that he would miss acting as Jon Snow because it is the most important job he has ever had. He knew that something is similar to him and his character, which is why he was picked for the role. "Game of Thrones" Season 7 stars Kit Harington, Sophie Turner and Emilia Clarke. The hit TV series will be airing on HBO in July 2017.